Marketing Description - 2000: Every Gibson Performance Header is Dyno-tuned and engineered to deliver more usable horsepower and torque at low and mid-range RPM highway speeds. Improves engine's ability to breathe and cooler operating engine temperature. 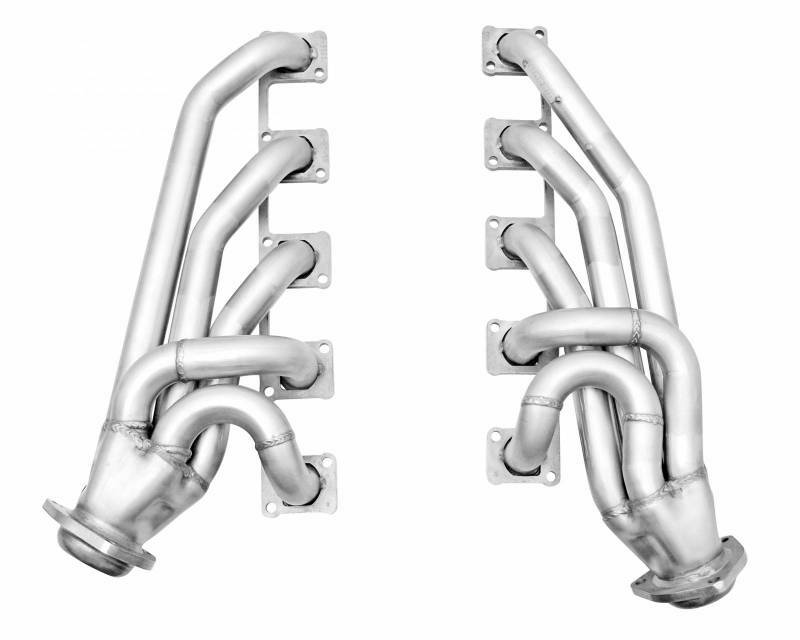 Designed as a direct replacement for the factory manifolds, using the stock crossover pipe. They are well suited for lowered and raised vehicles, street and off-road. 50 State Street legal. Meets EPA and CARB requirements. Will not affect the factory warranty. No welding required. Uses OEM style connections. 3/8" Heavy Duty Laser Cut Port Flanges- No Warping or Leaking. Premium Gaskets and Hardware included. Backed by a Lifetime Limited Warranty. Tubing Diameter: 1.50-in. Stainless 16-gauge mandrel bent tubing. This part generally fits Dodge vehicles and includes models such as Ram 1500 with the trims of SRT-10 Crew Cab Pickup 4-Door, SRT-10 Standard Cab Pickup 2-Door . The engine types may include 8.3L 8275CC 505Cu. In. V10 GAS OHV Naturally Aspirated. This part fits vehicles made in the following years 2004, 2005. New products purchasd from our store are covered by a manufacturers warranty. Other than applicable manufacturers warranties, or as otherwise provided in these Terms & Conditions, there are no warranties, express or implied for any of our products, and we specifically disclaim any warranty of merchantability or fitness for a particular purpose for tires, aftermarket wheels, and tire & aftermarket wheel packages. For other parts, we provide a limited warranty of 90 days from the date received by the original purchaser or installer, unless otherwise specified, which covers the replacement of a defective part(s). The warranty applies only to parts replacement with same or better quaity. For such cases, a full refund will be issued to the original purchaser. A refund or an exchange of a defective part will be processed only if it is accompanied by the original sales invoice. All items must be in their original condition and must not be damaged due to incorrect installation upon return. The warranty is limited only to the original purchaser and is non-transferable.